Improved performance when app becomes active and content is already playing. 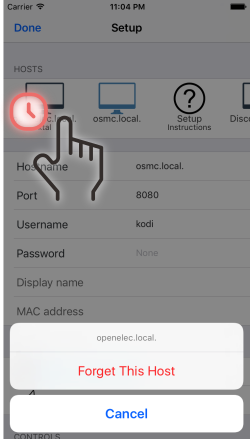 Fixed bug that did not persist user entered MAC address. Haptic Feedback (Vibration feedback) for main screen. Can be disabled in the Info/setup. Subtitles selection, changed to use a popover similar to audio stream selection. Bug fixes for intermittent crashes in Media Library section when browsing sources, also movies without titles, tv series. Added option ‘Reverse Scroll’ that user can set preference to swap the scroll /gesture direction between natural and unnatural. Swipe gesture for on-screen navigation up, down, left, right. 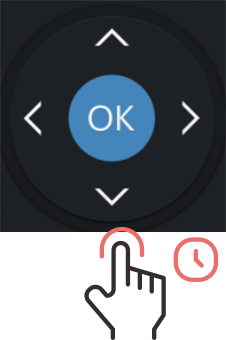 This is particular useful for scrolling lists on-screen without needing to look down at the remote. Fixed intermittent bug that failed to restore connection when swapping between WiFi availability or different access points. 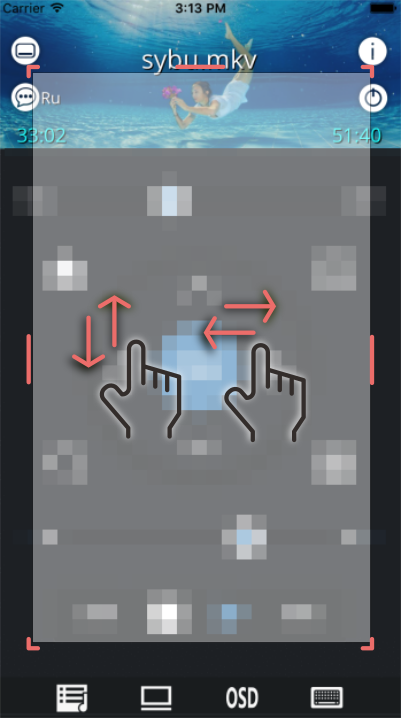 Swipe, flick, drag scroll based gesture can initiated from anywhere on-screen except very top, very bottom, and not on the time or volume control. -Prevent accidental time slider adjustment on stale time. – Watched filter for TV Series and episodes. – Bugfix for iOS8, no WiFi indicator. Issue introduced by iOS8 due to changes in Reachability. 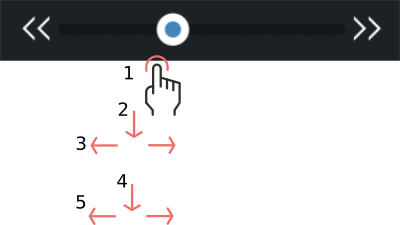 – Tap and hold on-screen Navigation buttons (up, down, left right) for continuous navigation direction. – Bugfix on iOS8 crash when presenting shutdown options. Replaced deprecated control. – Bugfix for iOS8 when presenting keyboard. 1) Show FanArt as background in main screen. Option can be enabled Info screen. 2) (Fix) Intermittent crash on iPad during rotation after library access. 1) Stay awake option added. 2) Movies and TV Shows. Photos of cast members added. 3) Favorites that are obsolete are no longer displayed. 4) Bugfix. Initial connection on some configurations caused a 4 second initial connection delay. Introduced by WOL functionality. This has been resolved. – Bugfix. Covert art, thumbnails for TV Shows and Movies does not display correctly when connecting to XBMC version 12/13. Resolved. Icon indicators for no-wifi, connecting, connected, disconnected states and other host related issues.